Today it’s picture thirteen of Doctor Who Fights Masterplan “Q” - the 15-part adventure on the backs of the Nestlé Doctor Who Milk Chocolate bars. With Masterplan Q in full swing, the monster materialises in the middle of Trafalgar Square, terrorising the population. 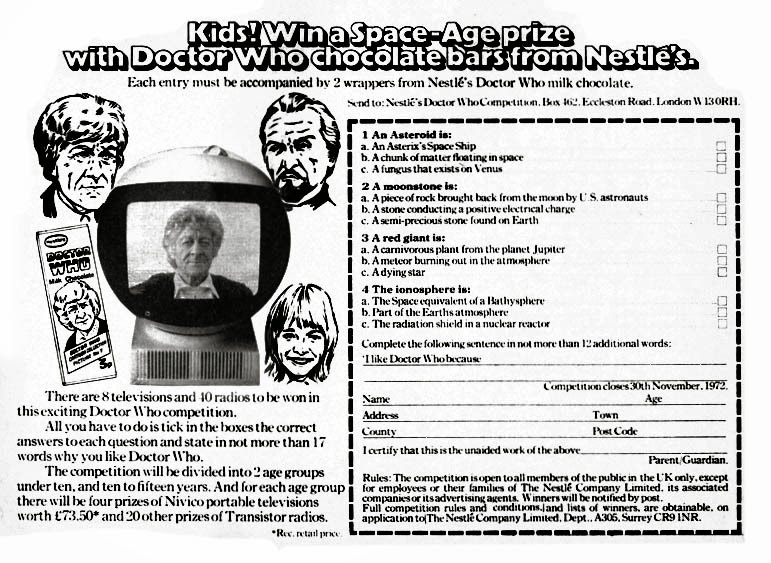 The chocolate bars were promoted in comics with the chance to win a space-age television. Here is the advert.